Navigator is the second release from drummer Paul Derricott under the ensemble name Arrow. 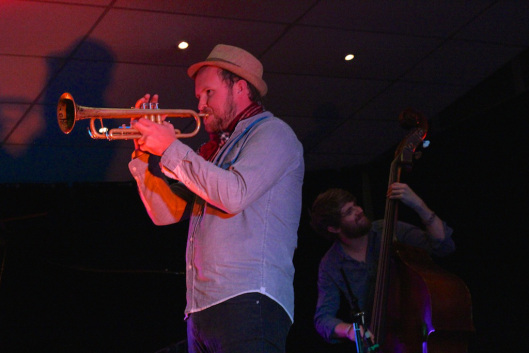 Given that he penned over 50% of the album, however, perhaps credit belongs equally to Derricott’s long-time collaborator, trumpeter Eamon Dilworth. Navigator is, in fact, a recording built on the notion of collaboration. This is not an album of tunes that conform to the ‘head-solos-head’ model (with the exception of Derricott’s Missed Ya), but rather one of synchronous improvisatory gestures. We hear this in guitarist Ben Hauptman’s superbly understated comping, as it often blooms seamlessly into co-soloing with the accompanee. We hear it too in the textural collectivity of The Lady and Du-ma acasa mai trambai, Dilworth’s nods to the European doyens of timbral manipulation, trumpeters Tomasz Stanko and Arve Henrikson. In addition to these brooding textures, Dilworth also contributes The Maurice Effect, a groove somewhat reminiscent of mid-2000’s Roy Hargrove. Here Derricott, Hauptman and bassist Thomas Botting generate fragmented beats and a sense of build that add structural integrity to the piece’s ‘acid jazz’ facade. Derricott’s compositions too, are offerings of groove. The title track, Navigator is the stronger of the two: its humble melody and clean indie-rock groove provide a refreshing context for a commanding solo from Botting. A notable feature of this album is the aesthetic values that underpin it. The (very difficult to track down) liner notes tell us that: “This album is part of Alluvium Records ‘Sustainable Recording Project’. No overdubs, all played live and created in the moment.” Reading between the lines, one senses in this philosophy a reaction against recordings of jazz that strive for precision and perfection above all else. Recording engineer Richard Belkner from Free Energy Device Studios has managed to capture this improvisatory feeling, this sense of risk and acceptance. Yet the end product is an exemplar of audio excellence. Be warned, however –Navigator is an incredibly dynamic recording: You may have to ride the volume control more than a little. Dilworth’s playing is itself a manifestation of this underpinning philosophy. His wonderfully broad palette of sounds (think Stanko, Henriksen and the great Lester Bowie) comes at times at the expense of control and intonation, but it is the expressiveness of his performance, not the flaws, that leaves the most lasting impression. Considered in the context of his previous work, Navigator reveals that Derricott’s approach to music making is becoming more broad and more rich. This is a collection of music driven more by principles of collective expression than by instrumental technique (though it abounds). The result is an approachable album with potential for broad appeal. We live in an age where diversity is the key to a successful and happy life as a jazz/contemporary musician. Consider then, the challenge for such musicians when the time comes to release a debut recording: How does a diverse player represent her/himself on a single recorded artefact? For some, the problem results in a lumpy patchwork of caricatures of ‘styles’. 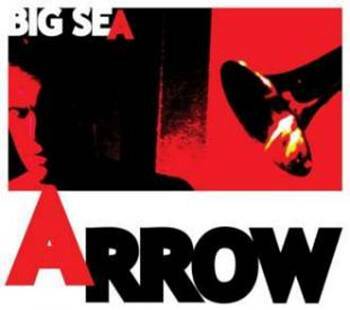 Arrow, led by drummer and composer Paul Derricott, have, on the other hand, responded to the challenge with Big Sea, a homogenous album of confluent ideas and utterances. Big Sea is alive with a vibrant diversity of feels and grooves that seamlessly converge and morph. The opening track, Triple Oh, for example, dissolves almost imperceivably from a burning up swing groove into freeplay with a subtlety that leaves the listener wondering how and when the transition was made. It is this unlaboured plasticity that distinguishes Big Sea. Vibraphonist Dale Gorfinkle brings a wonderful edge to Derricott’s compositions with his inventive manipulation of timbre, which is no easy feat on an instrument of fixed pitch. Simon Ferenci’s trumpet playing is refreshingly understated and controlled. Derricott’s considerable technical prowess is dished out sparingly with good timing and taste. Though the album is, on the whole, skilfully written, performed and recorded, it isFolding Water that offers a glimpse of the ensemble’s full potential, as it’s arguably the track on which the players permit themselves to delve into less safe territory. Perhaps an extra day in the studio might have allowed for a greater level of risk across all tracks on the album. Despite its restraint, Big Sea is an unusually successful debut album. 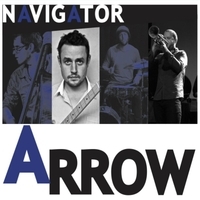 It’s worth noting that Arrow released a follow-up album in 2014, titled Navigator. I for one am looking forward to wrapping my ears around it. Here is the latest Arrow album please buy it! My Latest music is available for purchase through CD Baby here. Please buy it. 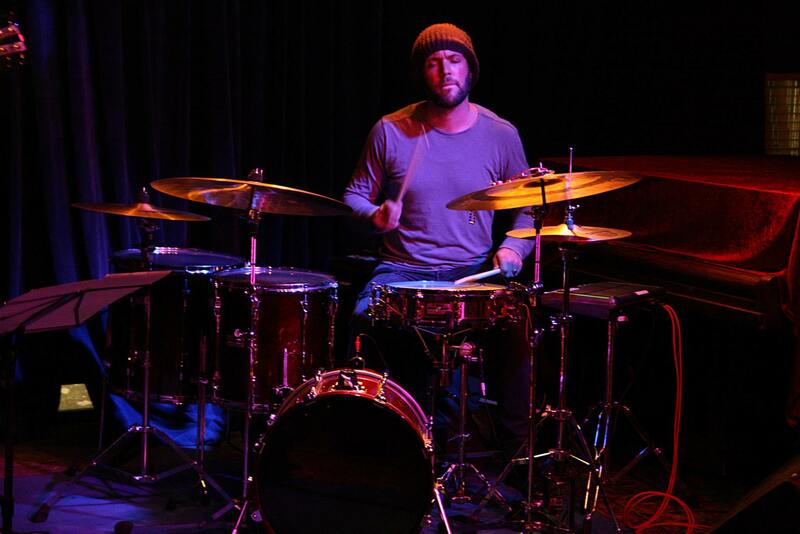 Drummer and composer Paul Derricott leads Arrow, his Sydney quintet of graduates from the Sydney Conservatorium, aged in their late twenties. All are strong jazz players in an interesting instrumentation using vibes and trumpet in front of a piano trio. An innovative debut album, Derricott’s originals are characterised by an improvised approach to thematic music. The melodies draw extensively on pop/rock ideas – but without a rock beat – and are given added authority and impetus by the arrangements and abilities of the musicians. Triple Oh, the opener, begins with drums and Dale Gorfinkel’s muted vibes establishing a clickety-clack, walking groove along with Mike Majkowski’s bass. Hugh Barrett’s piano poses a riff for Simon Ferenci’s trumpet to state the theme, upping the tempo slightly to return to the piano for a strengthening solo as the rhythm shifts up another gear and vibes emerge with a variety of unorthodox sounds. The track concludes with a muscular drumming sequence ushering everyone in for the final theme. The title track opens in a trumpet led, highly melodic ballad style and features a beautifully flowing piano passage, while Big Sea Reprise concentrates more on some involving piano work over a pushing rhythm before the trumpet arrives calmly at first, then building a powerful climax. These are outstanding and varied compositions, intelligently played; a demonstration of how pop influences can be fused into valuable jazz interpretations.